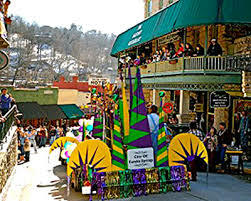 Named one of the top places to visit in America, Eureka Springs is a destination all its own. This mountain town, surrounded by old stone walls and Victorian architecture, is home to unique shops, amazing restaurants, lively local bars, fun events and interesting attractions like America’s Most Haunted Hotel and The Great Passion Play. 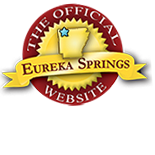 See a complete list of Eureka Springs attractions. Zip across an Ozark canyon. Professionals have brought zip lines to the Ozarks. Harness up at Ozark Mountain Ziplines at Eureka Springs and explore the treetops with experienced guides who have your safety in mind. It is an exhilarating way to enjoy all that the Ozarks have to offer. Learn more or buy a ticket! Listen to tigers roar at their dinner and watch a bear play in the stream. Turpentine Creek Wildlife Refuge provides a caring home to unwanted exotic animals. You wouldn’t expect to see big cats and bears in the Ozarks but a visit to Turpentine Creek will not disappoint! Open nearly everyday of the year. Get your tickets! and not the destination. If so, you have a lot of fun ahead of you. 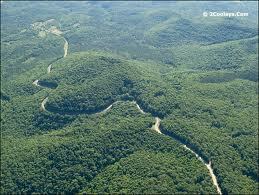 The Ozarks are home to the best motorcycle rides for miles. Discover detailed rides at EurekaSpringsMotorcycleRides.com, TouringtheOzarks.com and on EurekaSprings.com. This entry was posted on September 23, 2014 by estcblog in Road trips, Things to Do and tagged Arkansas, Outdoor, Ozark, Turpentine Creek Wildlife Refuge, ziplines.